What Is the Dermapen™ Micro-Needling Pen? Micro-needling offers unparalleled collagen induction by harnessing the body's innate ability to re-grow and repair the skin as a response to micro-damage. This small, hand-held device delivers up to 1,300 micro punctures per second into the skin, thus stimulating the production of collagen and elastin and normalizing various skin functions. 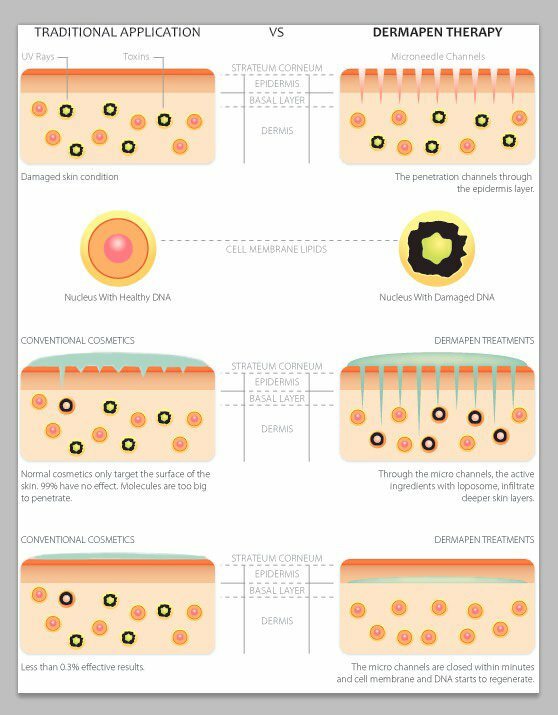 The controlled precision promotes the three phases of CIT mechanics, thus allowing for new collagen growth to occur. This proliferation of the body's tissue continues to release growth factors from fibroblasts, keratinocytes and monocytes, culminating in the second phase of CIT mechanics, where production of collagen I, III, and IV, elastin, proteoglycans and glycosoaminoglycans, and the process of angiogenesis occur. 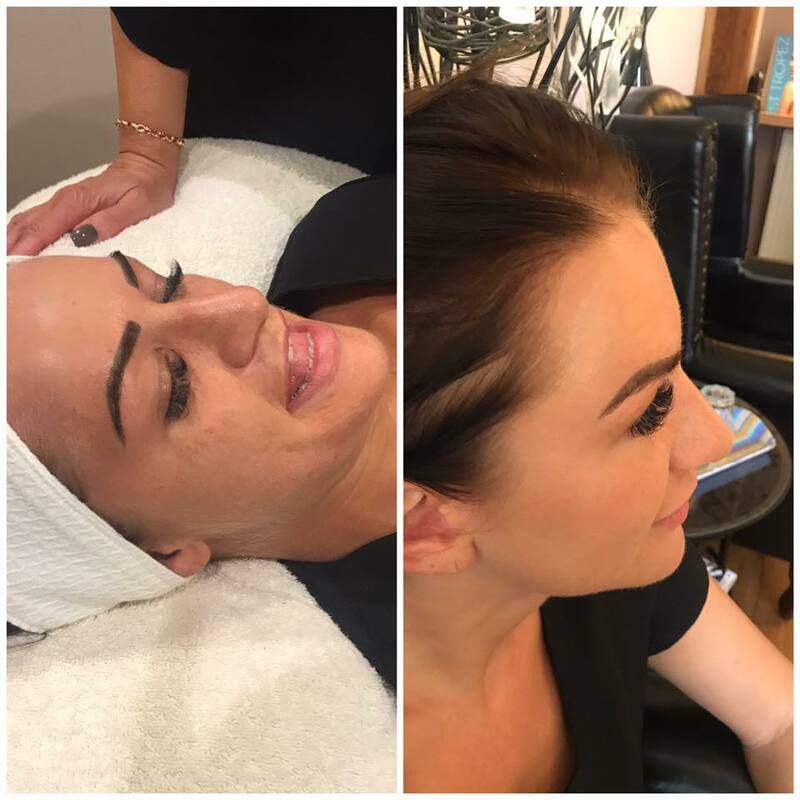 The last phase of CIT and the desired result of a micro-needling Treatment is the tissue remodeling process, where the skin’s vascular matrix matures, causing skin to tighten. The body’s ability to remodel and heal itself is at the heart of this amazing product. Because the process activated via micro-needling essentially generates new healthy skin cells to replace aged or damaged ones, applications for the micro-needling are very diverse. The device has been used to treat visible signs of ageing, such as skin atrophy and wrinkles, as well as various types of scarring, stretch marks, several types of pigmentation disorders, sun damaged skin, hair loss, and much, much more.